The financial advising profession is one that requires both proactive and reactive activities. Often times, a good portion of an advisors day is spent performing reactive tasks. Advisors react to client meetings, market moves, phone calls and emails, and many other things that can be a distraction and make advisors feel powerless. In fact, it is common for financial advisors to often feel this way. And with everything going on within an advisor’s daily schedule, it can be difficult to do proactive activities. However, implementing a few easy time management strategies will not only allow financial planners and advisors to gain control but allow them to create big opportunities for their business. Studies have shown that advisors who implement time management techniques into their schedules and work are more likely to have an additional fifty meetings with clients and prospects per year! 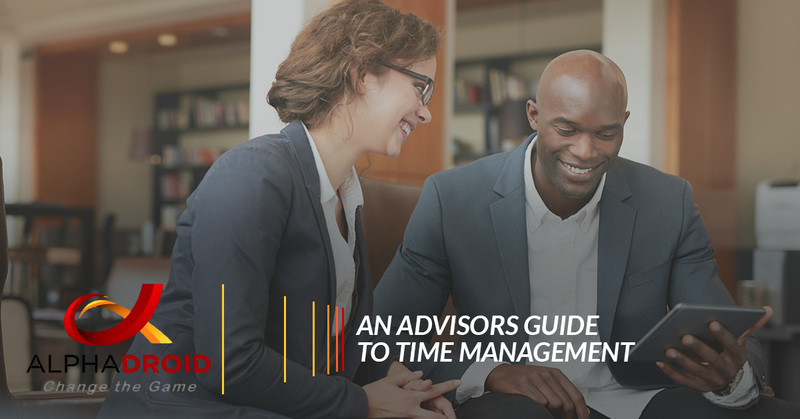 To help 401k and financial advisors, we put together a time management guide that will help advisors better manage their time to allow for more proactive activities, like growing their business and closing more plans. What task am I doing right now? Is the task proactive or reactive? Is the task essential to my work? Keeping a log of their daily activities will give advisors a pretty clear understanding of how they spend most of their time. The results can vary depending on the advisor, but most advisors will come to find there is no apparent pattern to their daily schedules: emails and phone calls are answered throughout the day, prospect and client meetings are spread out, and it seems like there is always some type of office interruption. Either way, sometimes advisors may spend their day with numerous reactive activities, not giving them enough time to allow for focusing on building their business. Advisors who do a lot of their work on their computers or laptops can gain a better understanding of how their time is spent by utilizing online tracking tools. After figuring out where advisors spend their time, they can use their findings to create an attainable strategy for themselves. And the first step of creating a realistic strategy is to set time aside for planning. Although it may not seem very effective, planning in advance can really end up saving an advisor some time. If planning is new for advisors, they should start small by dedicating less than twenty minutes a day to review their schedules and plan and write down a few things they aim to accomplish the following day. Once an advisor gets the hang of planning, they can add additional planning time each week to map out and focus on business goals and growth. For example, maybe a goal for your business is to establish a stronger presence on social media; the additional time will give the advisor an opportunity to think about what content they want to share, when, on which platform — ultimately additional planning time will help you stay on track of your goals and increase the chances of achieving them. Every financial advisor’s schedule is different. Some advisors work well with a schedule that is adamant, while others will become overwhelmed with a rigid schedule — and some advisors fall somewhere in between the two. While there is no perfect answer, advisors have found it helpful to steer away from a schedule and aim more towards having a series of flexible appointments that allows them to have more control and additional time to complete specific tasks. Business growth activities. Spending time focusing on marketing strategies and initiatives, networking with prospects and clients, or engaging with others in business-related social media are all proactive activities that can help businesses grow. Prospect and client meetings. Some advisors will only have client meetings on specific days of the week. This allows them to center their focus on connecting and talking with clients and prospects. Development. Personal development is something that many advisors don’t normally have time for, but those who set clearly defined goals were more likely to better manage their time. It may be beneficial to set aside specific time blocks that will allow for continuing education and learning, networking, training, and other proactive activities. Proactively planning and organizing a calendar will enable financial advisors to focus more on the task at hand, which is generally far more effective than multitasking. Advisors who value their life, then value their time. The level of input and service that an advisor can provide to a client mainly depends on their ability to make the most of the little amount of time allocated to them. However, an advisor whose day is filled with reactive tasks, like answering calls and responding to emails, will not have as much time to focus on proactive tasks. An additional reactive task is predicting the market and where it will move, which can take a lot of time out of an advisors day. However, by using asset allocation software, advisors will be able to save more time and focus on proactive activities and tasks. For those advisors who are looking for this kind of financial planning technology, financial advisors and planners cannot go wrong with AlphaDroid! AlphaDroid is an asset allocation software that helps advisors predict the market by following trends. AlphaDroid uses algorithmic trading strategies to help financial advisors with analyzing, constructing, and comparing investment portfolios using Modern Portfolio Theory. For advisors who are interested in saving time by not focusing as much on portfolio management and asset allocation and who want to learn more about AlphaDroid financial planning technology, visit AlphaDroid today!